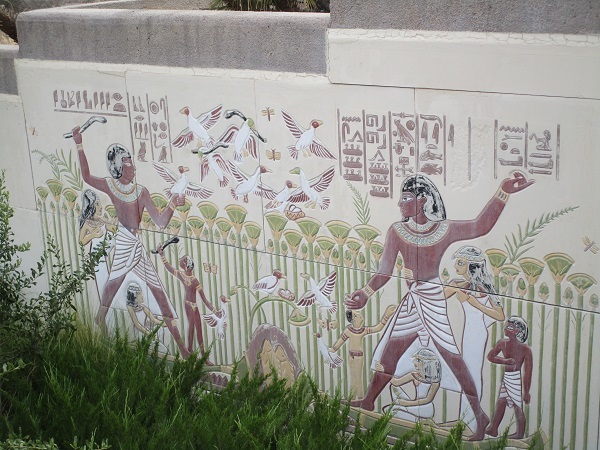 If you want to visit ancient Egypt, you don’t need a time machine, a book or even a passport. All you need is to get yourself to Las Vegas. 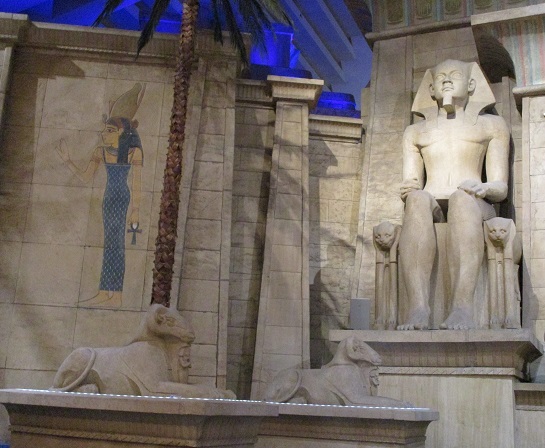 You can experience some of ancient Thebes at Luxor as well as the pyramids. Here, you can take a walk approaching the entrance to the temple at Luxor. There is a row of rams on each side. They are but ruins at Luxor in Egypt, but here, they are complete, much the way they would have been thousands of years ago. 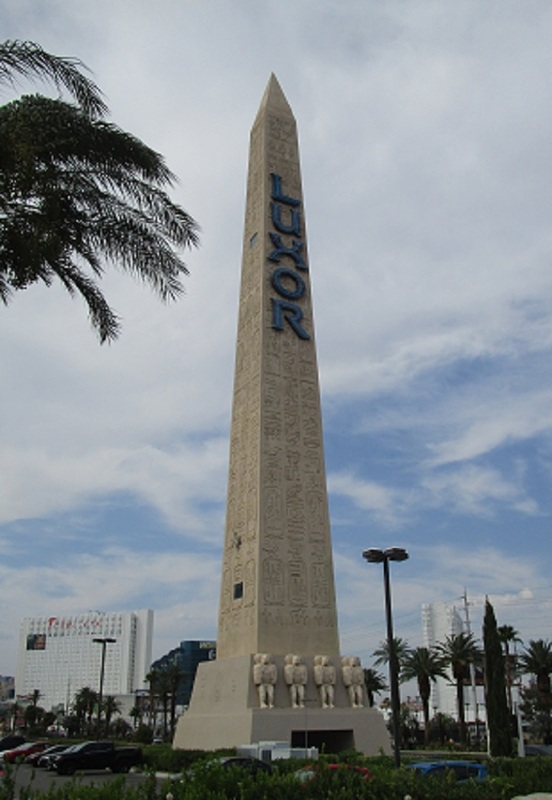 There is also the obelisk that can be found at Luxor in Egypt. There is only one, just as there is only one in Egypt. At one time there were a pair, but the one located to the right of of the temple entrance was shipped to France. However, the sacred baboons at the base of the obelisk were removed and placed inside a museum. The sacred baboons prominently display their genitalia, which was offensive to the French. 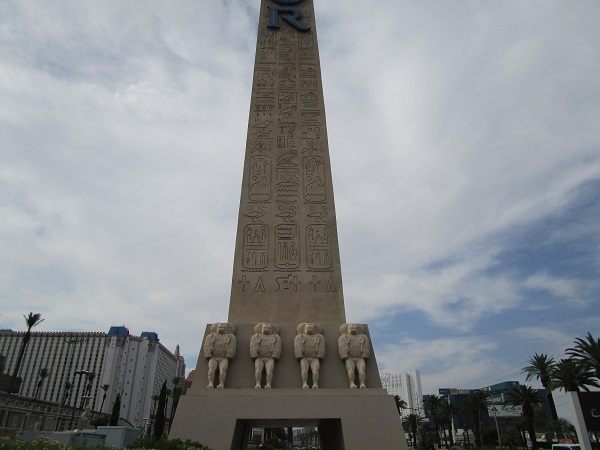 We, in Las Vegas, have no such compunctions, so you can see the sacred baboons just as they appear on the remaining obelisk in Egypt. Here is a closer photo of the sacred baboons. But not too close, this is a G rated website. You will notice a passageway at the bottom of the obelisk. It’s like a small tunnel. Obviously this doesn’t exist in the ancient obelisk, but if you walk through the bottom, maybe the sacred baboons will bring you luck. 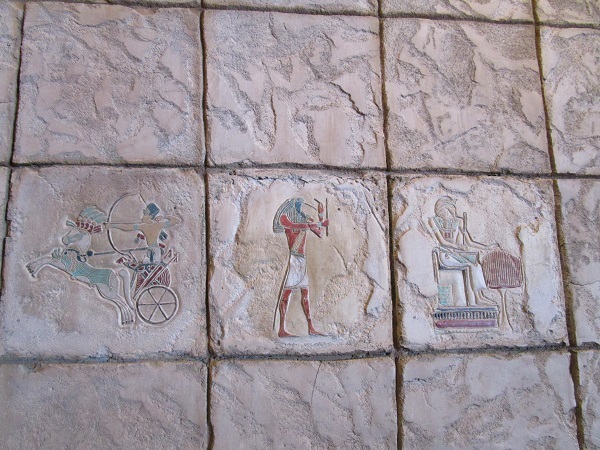 There are also murals and reliefs found throughout the property. I’ve been told that the inscriptions on these murals, reliefs and statues are authentically reproduced. So if you can read ancient Egyptian hieroglyphics, you will understand what they mean. In Egypt, the temple found at Luxor is far away from the great Pyramids, which are located outside of Cairo. 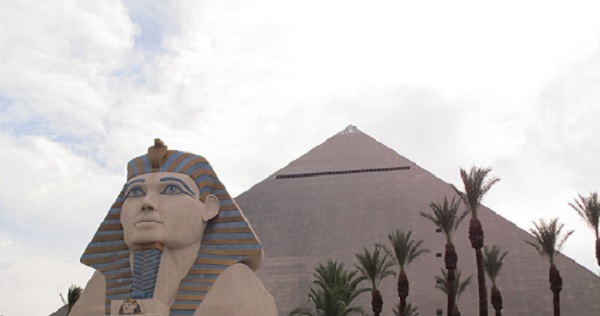 But here in Las Vegas, we have a pyramid and even the Sphinx a short walk from the obelisk. In this photo you can see both the Sphinx and the pyramid. 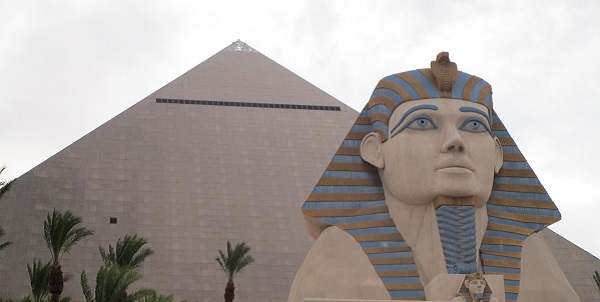 The Las Vegas Sphinx shows no decay. It is painted and even has its nose. Here is an ebony jackal. 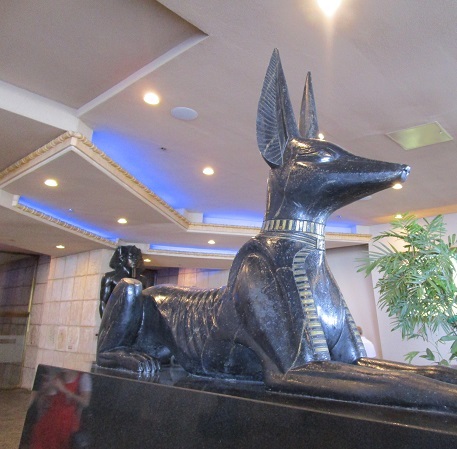 Jackals were very popular among the ancient Egyptians. 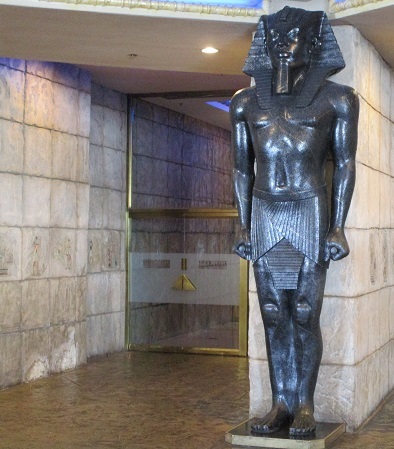 Here is a statue in the interior of the pyramid. This is the only photo I’ll show you of the inside of the pyramid. There are real-life security guards that get a little edgy when they see someone taking a lot of photos. 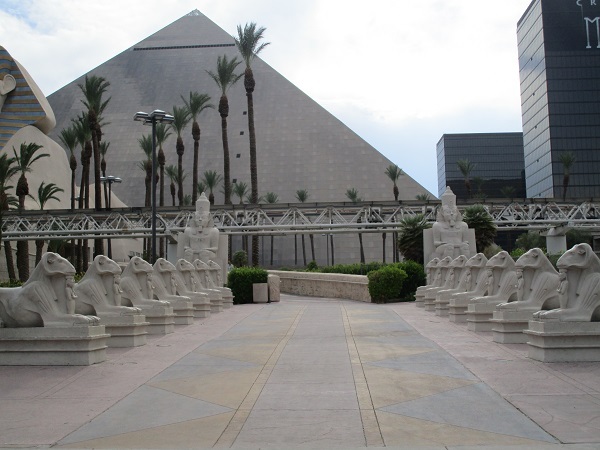 But you can go yourself and experience both the inside and the outside of, what Las Vegas calls, the Luxor hotel and casino.